The five major artists of Oh No! 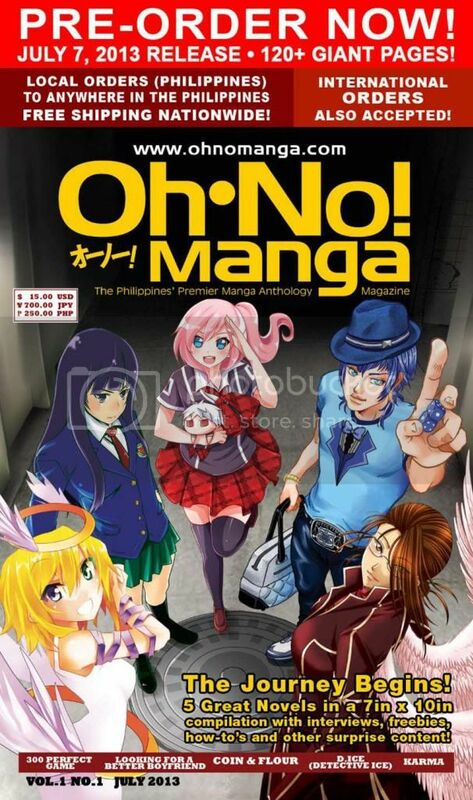 Manga have come together to release the first ever 7 x 10 inch manga anthology in the Philippines! Which means Karma is getting a third chapter, and one of the original angels from the first chapter is making a come back. …honestly, the artwork from Chapter 1 is so old that he doesn’t look anything like he did back then. And since this is a larger page format, that meant I had to draw the pages in a 8 x 11.5 inch sketchbook. And I hate drawing large images. My lines look all weird!